The world's largest Roman Catholic country wants to host the church's 2011 World Youth Day, Brazilian church leaders said on Thursday. Besides Brazil, Spain and England also want to host the event, Archbishop Geraldo Lyrio Rocha, president of the National Conference of Brazilian Bishops, said at a news conference. 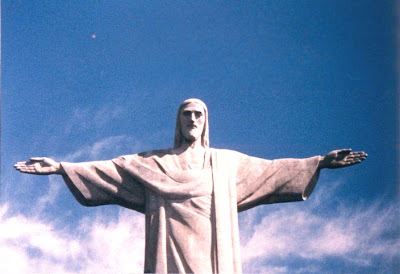 Rocha said Brazil put in its bid last May when Pope Benedict XVI visited the South American country. However, the press conference was the first time church leaders publicly announced the country's interest in hosting the event. He said the cities of Rio de Janeiro and Belo Horizonte were likely venues. The next World Youth Day, which is held once every three years, will be in Sydney, Australia in July of 2008. The event was last held in Cologne, Germany in 2005. Rocha said the 2001 host country will likely be announced in July in Australia, during the 2008 event. Since the WYD is a big, big event for Neo-Cats, they'd be stupid to go to England in 2011. Why not Alaska in mid-winter? At least they'd be motivated to keep their kit on.